A dental surgeon for more than 35 years, Dr. Leduc has always aimed to provide patients with personalized service. Dr. Leduc is guided by a strong belief in the values of hard work, independence and personal excellence. His talents for entrepreneurship and community service have always been obvious. After completing his studies, he opened a private practice in the Plateau Mont-Royal and honed his art: dentistry. He quickly developed a passionate interest in technical and scientific innovation. 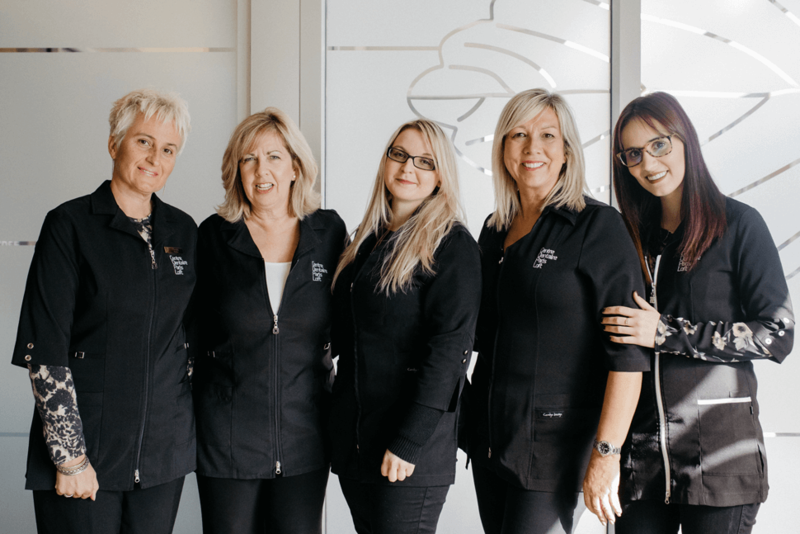 Whether in the area of implant prosthetics, cosmetic dentistry or total rehabilitation, Dr. Leduc always makes a point of being responsive to his clientele. Today, he enthusiastically shares his vision of dentistry with his patients and colleagues. As the director of the clinic, he takes great satisfaction from promoting a caring approach to treatment and service of the highest quality. 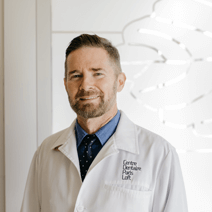 With in-depth clinical experience in implantology and a commitment to delivering exceptional service, Dr. Leduc is devoted to his patients and profession. Trained by Dr. Carl Misch, a world-renowned expert in the field of dental implants, and a graduate of the Misch International Implant Institute in Detroit, Michigan, Dr. Leduc has a fellowship from the International Congress of Oral Implantology. 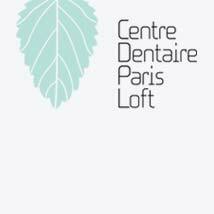 Dr. Leduc is a member of the Ordre des dentistes du Québec (ODQ), the Association des chirurgiens dentistes du Québec (ACDQ), the Organization for Safety and Asepsis Procedures (OSAP) and the Academy of Computerized Dentistry of North America (ACDNA). Pierre Diamond dental surgeon is a 1987 graduate of the Université de Montréal. Over the years, he has acquired a strong reputation for quality work and his caring, professional approach. 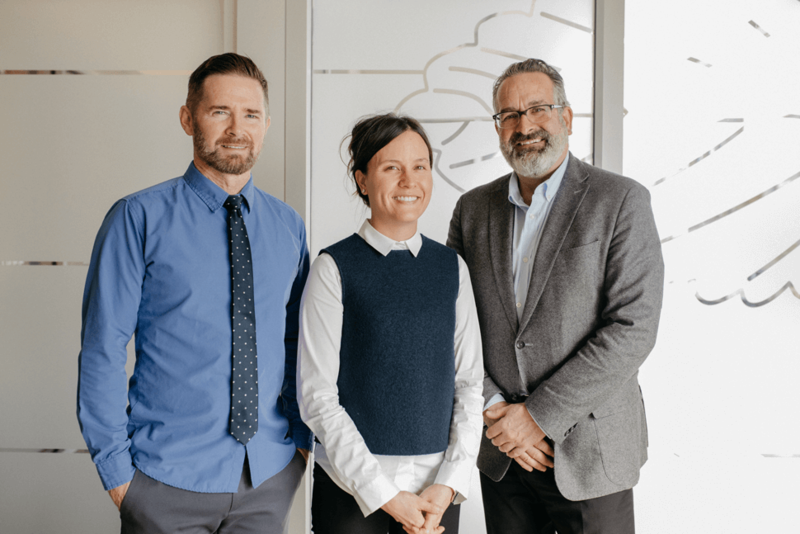 With a view to offering outstanding service and responding to the individual needs of each of his patients, Dr Diamond makes a point of staying current with the latest innovations and developments in modern dentistry. Dr Diamond is a member in goodstanding of the Ordre des dentistes du Québec (ODQ) and the Association des chirurgiens dentistes du Québec (ACDQ). Michael Pasoff became a dental surgeon in 2010 after completing his DMD at McGill University. Dr. Pasoff then completed a 2 years general practice residency at University of Nevada in Las Vegas, obtaining certificates in laser use, conscious and IV sedation, Invisalign, and became a fellow with the Internatinal Congress of Oral Implantology. 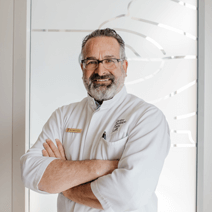 Prior to becoming a dentist, Dr. Pasoff earned his Bachelor of Science in Nursing from McGill University, and was a registered nurse with experience in emergency room, pediatric intensive care unit, and dispensary nursing in northern Quebec, living with the Inuit and Cree. He was also a volunteer ambulance medic both overseas and in Montreal. Dr. Pasoff is a passionate about travel, and commits to at least one dental humanitarian mission a year, providing free dental care to children around the world, in Mexico,Peru, Nepal and Cambodia,among others. He is a member of the ODQ, ACDQ, ICOI and recently published an article in the journal of the Canadian Dental association. Dr. Aya Endo found dentistry to be the ideal field to combine her high level of dexterity and her passion for helping people. After obtaining her doctorate degree from the University de Montréal in 2004, Dr. Endo furthered her education by completing a multidisciplinary residency at McGill University. Dr. Endo is continually advancing her knowledge and skills relating to the complexity of the human masticatory system. 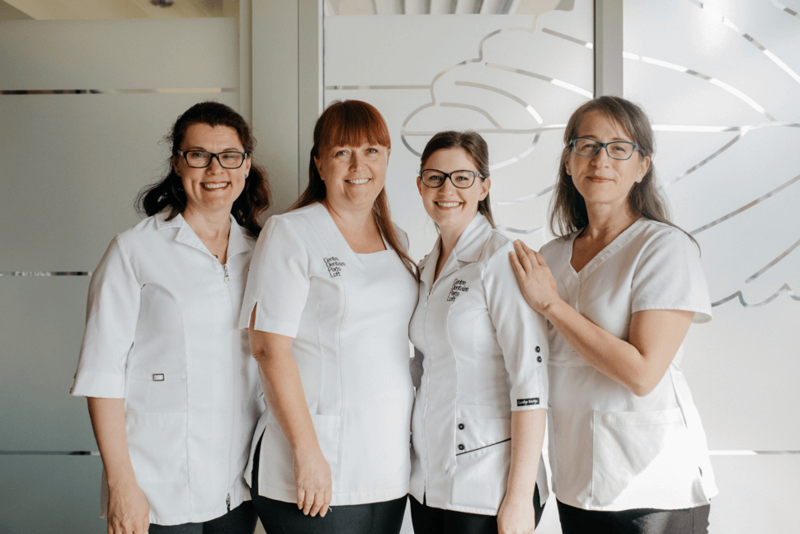 She is tirelessly working to improve her methods and stays abreast of the latest advances with the sole ambition to make her patient’s lives easier. 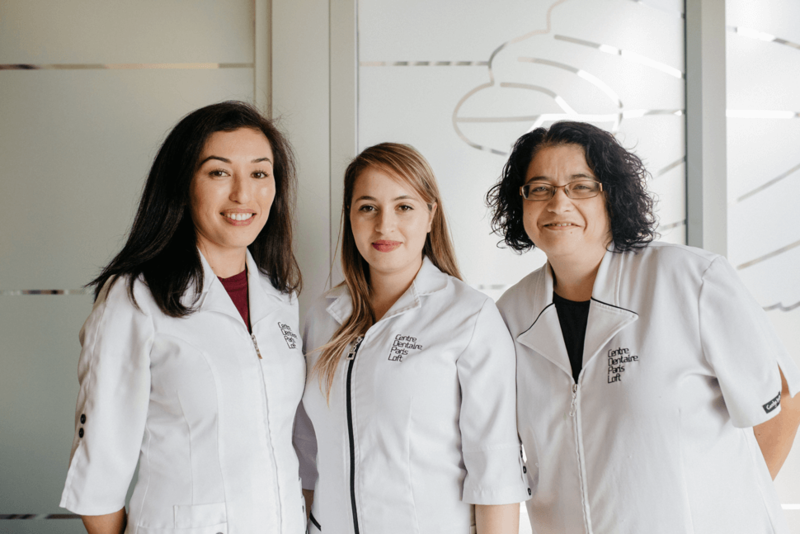 She’ll gladly take the time necessary to answer all your questions and put your mind at ease regarding the available treatments so you can make informed decisions about continuing or starting procedures. Dr. Aya Endo is a member of the Ordre des dentistes du Québec and the Association des chirurgiens dentistes du Québec. Meticulous, professional and disciplined, Benoit Leduc has practiced his art for over 15 years. He has solid expertise in both conventional fixed dental prosthetics and implants. Because he knows how much a smile matters, he makes a point of always exceeding his clients’ expectations. 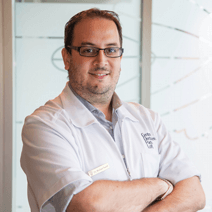 Benoit Leduc is a member of the Association des denturologistes du Québec (ADQ), the Ordre des denturologistes du Québec (ODQ), the Denturist Association of Canada (DAC), the Comité d’Accréditation des Écoles Canadiennes en Denturologie and the Fellow International Congress of Oral Implantalogy (ICOI).